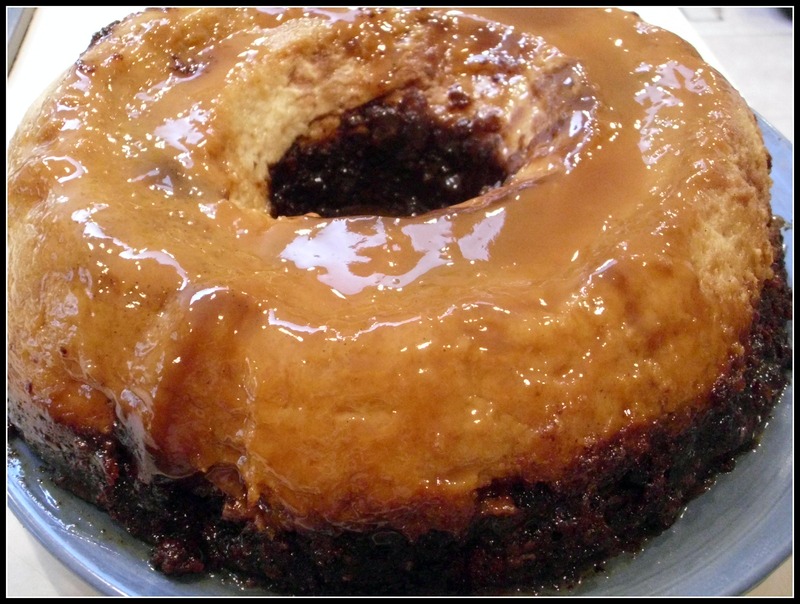 Chocolate Flan Cake (Torta Imposible or “impossible cake”) is a decadent, layered dessert with Chocolate Cake on the bottom and Flan on the top. You are probably wondering why they describe it as “impossible”…. 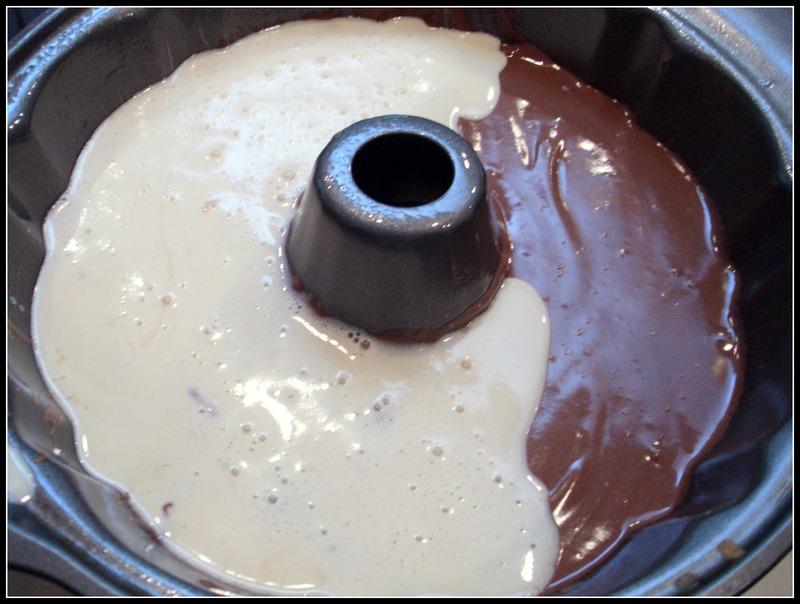 Well, when the cake pan goes into the oven, the flan ingredients are on the top and the cake batter is on the bottom. Then two hours later, when the dessert comes out of the oven, the cake is on the top and the flan is on the bottom. My favorite step is to invert the cake pan onto a platter. It is definitely a “TADA” moment. 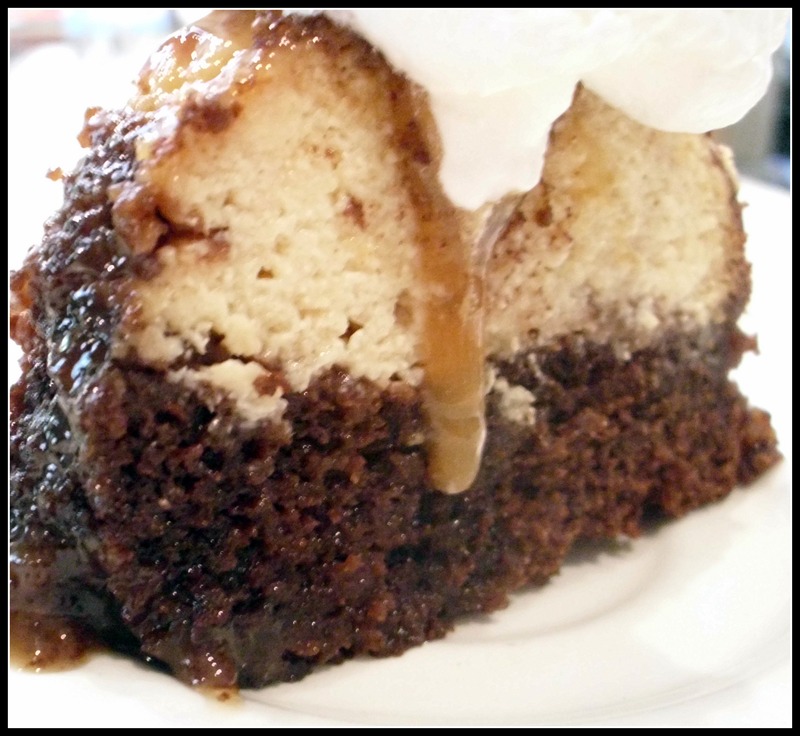 The caramel runs all over both the Chocolate Cake and Flan layers. It is very hard not to slice it right there and then. 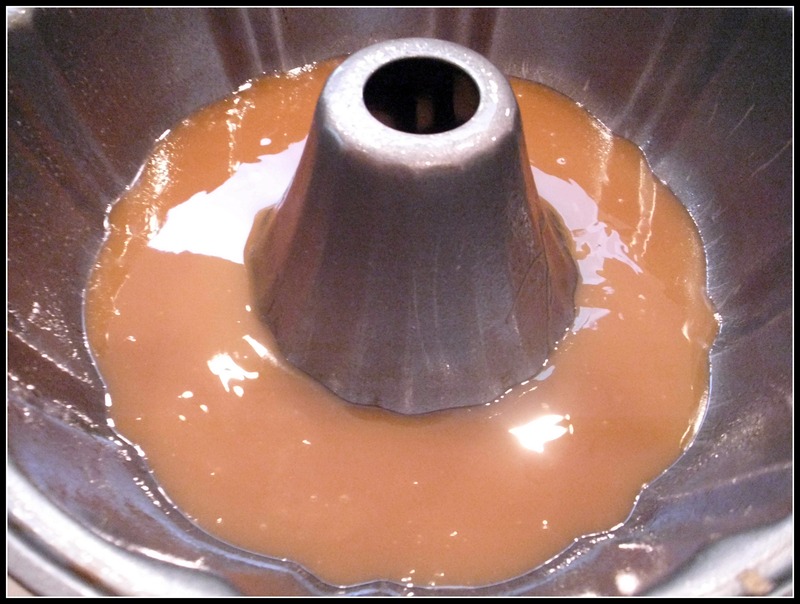 But do let it refrigerate and the flavors will marry even more because as Chocolate Flan Cake refrigerates, the chocolate cake absorbs the caramel like a sponge. I like to think that nothing is impossible and had to master this recipe after reading about it several years ago. It has since become a family favorite. Preheat Oven to 350 degrees. Spray a large bundt pan with nonstick spray. 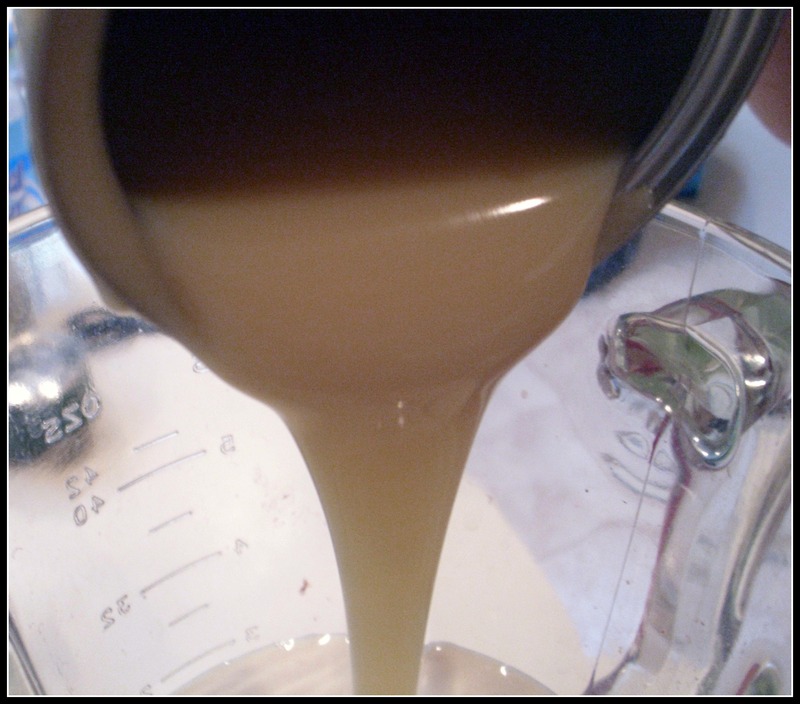 Pour caramel sauce into prepare pan. Set aside. 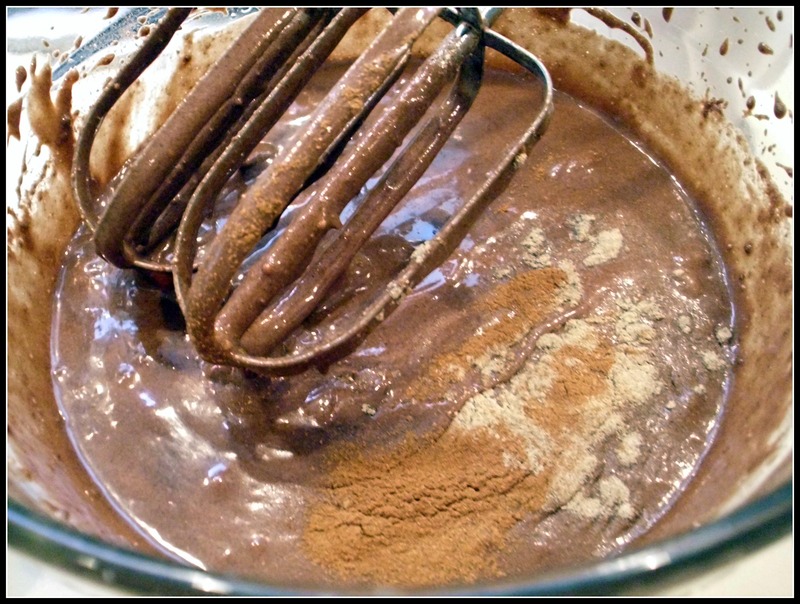 Prepare cake mix according to package directions (adding cinnamon and cardamom). 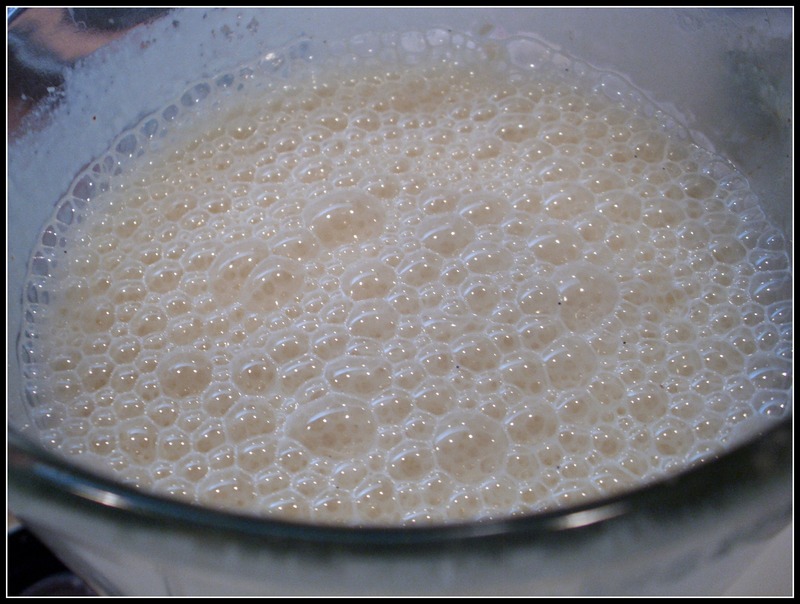 Pour condensed, evaporated and fresh milks into a blender. Split and scrape the vanilla bean. Add the tiny vanilla beans to the blender along with the cream cheese and the cardamom. Mix well. 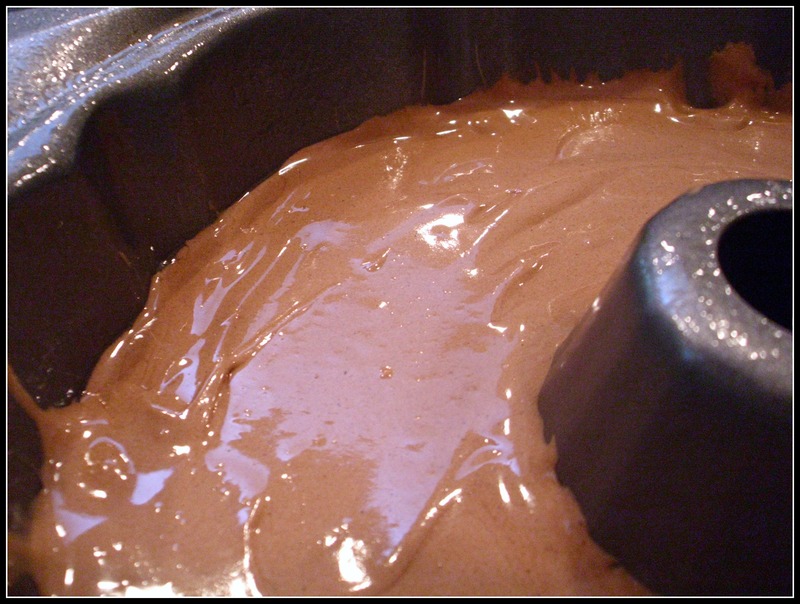 Pour flan mixture very slowly (with a ladle) over the cake batter. Spray aluminum foil with non-stick spray. Cover bundt pan very tightly with the aluminum foil. Set the bundt pan into a large pan and set on the oven rack. 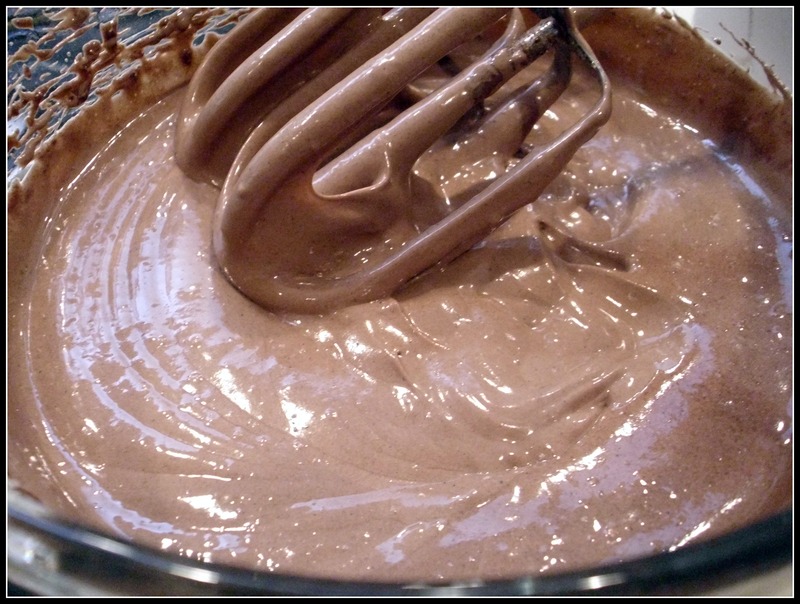 Carefully pour hot water into the larger pan to a depth of 2 inches. Bake for 2 hours. Note: Do Not Take the Aluminum Cover Off During Baking Process. Cool for 15 minutes. Remove aluminum foil. Invert cake onto a large platter. 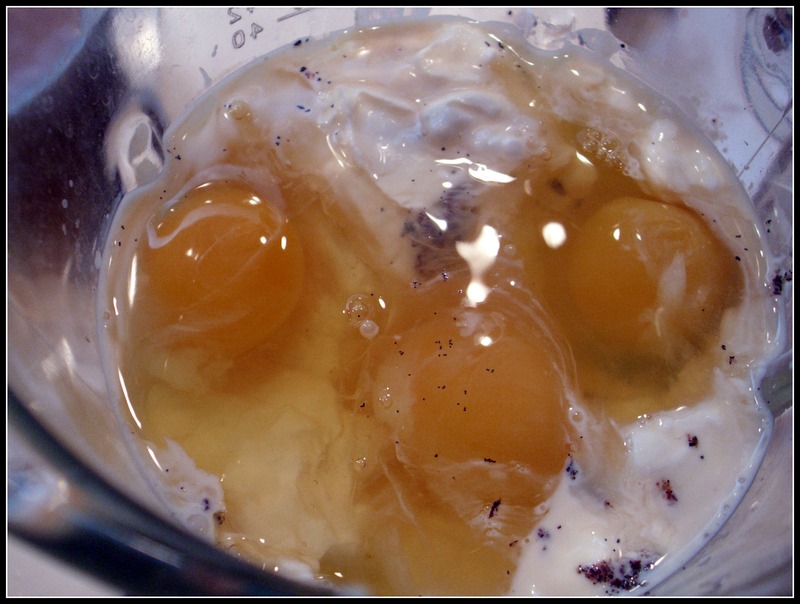 Refrigerate for several hours before serving. Dear god woman! That is amazing! I want to be your amiga forever now! I will try this very, very soon! Thanks Carrie. Friends we are. 🙂 It is easy and delish! Worth the calories… My sons stalked the kitchen once it went into went into the oven… Enjoy! This looks heavenly!! A definite recipe to make this weekend..Thanks! Thank you… Its even better the next day! Have a great weekend! Wow, Denise! This looks amazing! Yum! Thanks Shanna… Love all the party idea posts you have been doing on your blog. 🙂 Take care! I will try this recipe for Christmas!!! This is definitely one of our family favorites. Decadent and delicious. Have a great holiday!